Can you imagine David Backes in a Canuck jersey? About as much as David Freese in an Angels jersey. 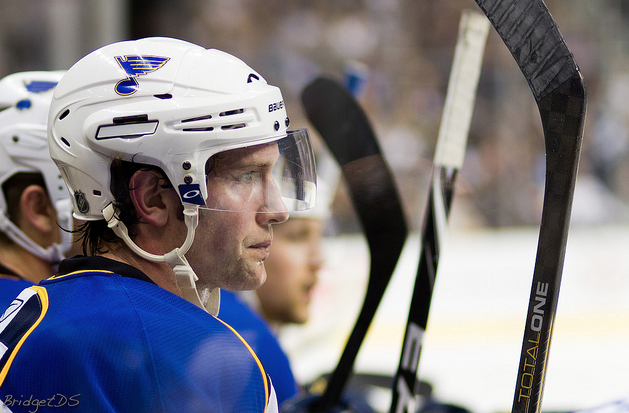 A feature on the beast of St. Louis, #42 David Backes. In 2008, the Vancouver Canucks signed then restricted free agent David Backes, 24, to a three-year offer sheet worth $2.5 million a year. Backes had spent the better part of two seasons with the St. Louis Blues. Backes scored 13 goals in 2008; amassing only 31 points but led the team with 240 hits. Potential was all over the wall. Actually, he’s played a monumental role. After his 4-point game in a win over Buffalo Saturday, Backes leads the team in goals (16), assists (21), points (37), penalty minutes (63), and game winning goals (4). Now 27, the Blues named him the 20th captain in franchise history last off-season, and you’d be hard pressed to find one person who wouldn’t want #42 as the face of a hockey team. I mean can you believe this club had Eric Brewer rocking the “C” from 2008-2011? Go back and look at the list of captains in Blues history, and Backes may be the most dynamic. Many compare him to Ryan Callahan of the New York Rangers, but sorry, no. Backes is 6’3 weighing in at 225 pounds. Callahan is 5’11, 185 lbs. In fact, Backes smothered several Rangers, including Callahan in a 4-1 thrashing last month. Night in, night out Backes gives 120%. He has 12 points in nine January games. His positioning on the ice, his intensity, and the ability to continue a play are unmatched aspects of his game. It may not lead to 60 goals, but it does lead to a 64-point hockey club, just 1 shy of the best record in the league. There is an unwritten rule in professional sports that after a loss, talking ceases. Silence is golden. Long story short, the plane had a mechanical failure, causing us to sit aboard a plane during a 2-hour delay. Guys began chatting–media and players alike. Not Backes. 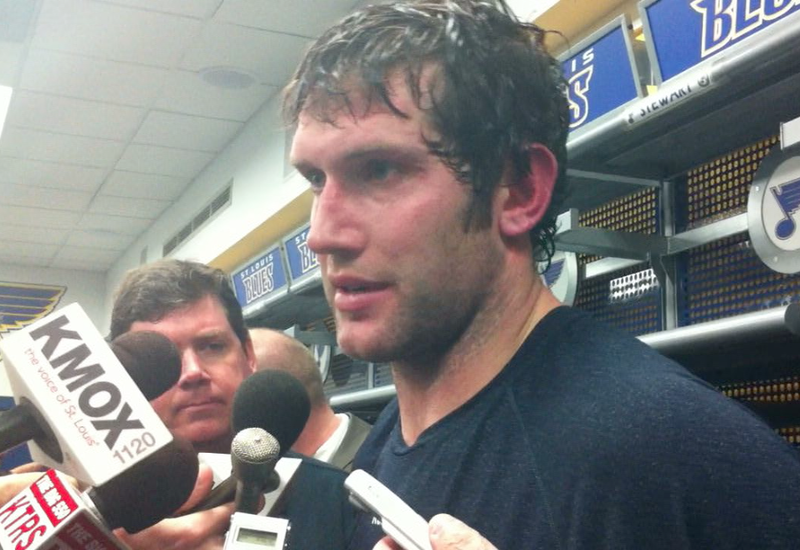 In fact, the look in Backes’ eyes was downright scary. He was so pissed off that his team was failing to meet expectations, he looked like a crazy mad man. Realistically, it was a sign of leadership. A message of ‘this won’t cut it’. 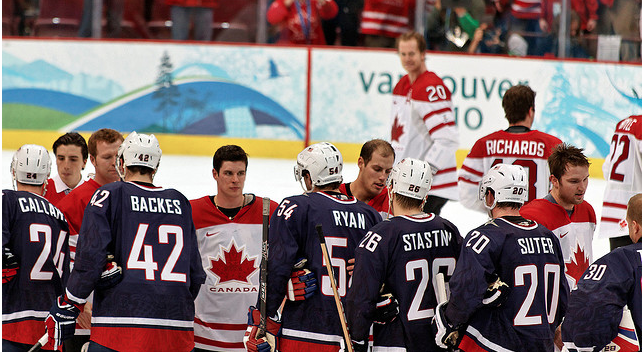 Backes won a silver medal with the USA Olympic team in 2010. He signed a 5-year extension worth $22.5 million in the offseason and has the Blues at 29-12-6 including a home record of 21-3-3. He leads his squad into the Joe Louis Arena Monday to face the only team ahead of them: Detroit. Each team has won 2 games in the season series, and a huge 2 points is on the line tomorrow night. In order to raise Lord Stanley’s Cup at the finish line, the Blues have to find a way to beat good hockey teams on the road. That test continues tomorrow. Best captain the Blues have ever had as far as on the ice leadership. I don’t know about best ever… Two guys that come to mind are Pronger and MacInnis. MacInnis took over the team after Pronger broke his arm in the 02-03 season. Granted he had veterans like Weight and Tkachuk I still think he was an integral part in keeping the team on track after losing Pronger early on. I’m definitely not slighting Backes and what he has done for this team I just think it may be a bit early to claim him as the best captain as far as on the ice leadership. That response was mostly towards Owen’s comment. Also I had forgotten about that poster and just checked it out to refresh my memory. Yes the poster made fun of Chris Pronger, but what can be easily overlooked is the final quote on it that reads, “100% chance we’ll change our minds if Hawks sign him.” Clearly this was a media shot at Pronger to maybe get in his head, but he said in response to the poster, “I don’t read what you guys write. Good or bad.” That being said, I completely agree that Backes is more physical than Pronger, but thats not to take away from Pronger who flattened a slew of guys during his career. I say that more as an homage to Backes’ phenomenal physical play.